Amid the news of disappointment and protest, the Liberal government is trying a genuinely new approach to Aboriginal policy, and making positive steps toward decolonization and reconciliation. Following the contentious decisions about the Kinder Morgan, Line 3, and Enbridge pipelines, some Canadians are questioning the Trudeau government’s real commitment to its electoral promises. The recent decision on electoral reform has only reinforced the sense of policy abandonment by the Liberal Government, following on the heels of stepping back on the commitment to implement the United Nations Declaration on the Rights of Indigenous Peoples in 2016. In the easy days in opposition and the federal election campaign, bold promises came out routinely from the Liberal camp. Governing is different, for the Liberals as for any party. Prime Minister Justin Trudeau was particularly passionate about his engagement with the Indigenous file, promising dramatic shifts in programming and financing. Here, it seemed, things would be different. So, how is the Trudeau government doing in practice? Superficially, some key elements are in place: a commitment to implement the Truth and Reconciliation Commission’s recommendations, major increases in educational funding, money for improved water systems and additional housing units, and sustained participation in high-level discussions with Indigenous leaders. The Liberals’ level of engagement with Indigenous issues is rare, if not unique, in Canadian political history. The recent announcement of a proposed Indigenous Languages Act is a major step forward on a critically importance issue. Indigenous Affairs Minister Carolyn Bennett has also been a constant presence in Indigenous communities, attentive to major developments and eager to make a difference. The Liberals’ level of engagement with Indigenous issues is rare, if not unique, in Canadian political history. Not everyone is happy, however. Pam Palmater, former candidate for National Chief of the Assembly of First Nations, has criticized both the government and Indigenous leaders for the slow progress of talks, funding, and political change. Several chiefs, including those surprised by Trudeau’s pipeline decisions, now question the depth of his commitment to consultation and Indigenous rights. Indigenous leaders are right to insist on a true sense of urgency in responding to community needs. In turn, the country as a whole needs to be patient and give Indigenous governments the time and resources to effect a community-driven turn-around. Given the nature of the challenges, and the formidable costs associated with closing the educational, health, income, housing and other gaps between Indigenous and other Canadians, it is hardly surprising that dissatisfaction continues. Indeed, the benefit of government promises have been offset by reports that a great deal of money targeted for Indigenous peoples remains unspent. Put simply, there has not been enough time nor sufficient money available to deal with all these issues. Behind these developments, however, lies perhaps the most important political and administrative transition in Indigenous affairs since Confederation. Behind these developments, however, lies perhaps the most important political and administrative transition in Indigenous affairs since Confederation. The Trudeau government has committed itself to several forms of co-production of government policy and, related to this, priority-setting. The Prime Minister declared the language bill will be developed together with Indigenous peoples. In announcing regular high-level meetings with Indigenous leaders, including a recent session with Nunavut leaders, Trudeau indicated that these sessions will be used to set priorities and discuss forthcoming policy. This hardly sounds revolutionary but these are important steps. Indigenous leaders repeatedly make the point that the crises in their communities can be traced back to the paternalism and intrusiveness of colonial systems – exemplified by reserves, the Indian Act, residential schools, and many other culturally insensitive and destructive policies. Breaking the colonial mindset has been a top priority for First Nations, Inuit, and Métis people. 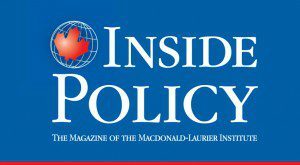 The recent policy direction of the Trudeau government suggests major cracks may be emerging in the colonialist façade of Indigenous policy in Canada. Behind the political scenes, even more important developments are underway. The Government of Canada is working with Indigenous communities on new funding and decision-making processes. The standard approach has been Ottawa-centric, intensely bureaucratic, and bound up in countless rules and regulations. Indigenous communities spend a remarkable amount of time applying for government funding and meeting accountability requirements, diverting attention from critical local issues. The government appears to be moving toward a community and region-centric approach, where Indigenous peoples set priorities, where the walls between government programs and funding lines become porous, and where the primary role of the civil servants is to facilitate implementation rather than control. Put simply, the Government of Canada should make sure that houses are actually built rather than simply administering housing programs. The old way focused on accountability to the Canadian public at large and the expenditure of funds. The new approach emphasizes community and regional needs, responsive decision-making, and joint accountability to Indigenous communities and the country. Getting things done is replacing program design and administrative development. The primary issue is not money. Canada needs to spend much more to correct historical injustices and give Indigenous people and communities the same life chances available to most other Canadians. But it also matters how decisions are made, priorities are set, and legislation is drafted. Indigenous peoples have the right and need to make the central decisions that affect their lives. Consultation has to be replaced by greater autonomy and regional decision-making authority. The Government of Canada cannot step back entirely; a great deal of collaborative work is still required and jurisdictions inevitably overlap. But Ottawa appears finally ready to take the major step Indigenous peoples have demanded for decades. Colonialism is difficult to dismantle. Many Canadians are all too eager to offer advice and direction on community-level matters. They seem, at times, to believe Indigenous leaders do not understand the challenges and opportunities facing the First Nations, Inuit, and Métis people. That is nonsense. Indigenous leaders and governments know only too well the complex, layered, and interconnected issues that have to be addressed. For over 150 years, the Canadian government has been a major part of the problem and only a small part of the solution. Behind the major pronouncements and high-level meetings, the Trudeau government is doing something truly powerful. They are clearly open to changing decision-making and priority-setting processes. They appear to be willing to shift from the “Ottawa knows best” approach to community empowerment, with the attending shift in accountability and responsibility to Indigenous governments. If it continues, this new direction represents the culmination of a decades-long Indigenous fight for recognition, rights, self-government authority, and a new relationship with Indigenous peoples. Should the approach falter, it would demonstrate once more that the Government of Canada is not yet ready to share real authority with Indigenous governments. Canada has entered an era requiring urgent patience with regards to Indigenous rights. Accepting the new importance of the co-production of policy and joint priority setting is a logical step in the decolonization of Indigenous peoples in Canada. Ken Coates is a Munk Senior Fellow at the Macdonald-Laurier Institute. He is the Canada Research Chair in Regional Innovation in the Johnson-Shoyama Graduate School of Public Policy at the University of Saskatchewan.